On the second day of Christmas i was a bit fed up with the whole staying at home situation. A friend of mine called and ask if we should go out and maybe visit another city. Furthermore i was feeling kind of in the mood for a shooting. I mean i did get a few new pieces as holiday gifts! So i grabbed my Camera put a decent pair of shoes on and closed the door behind me! 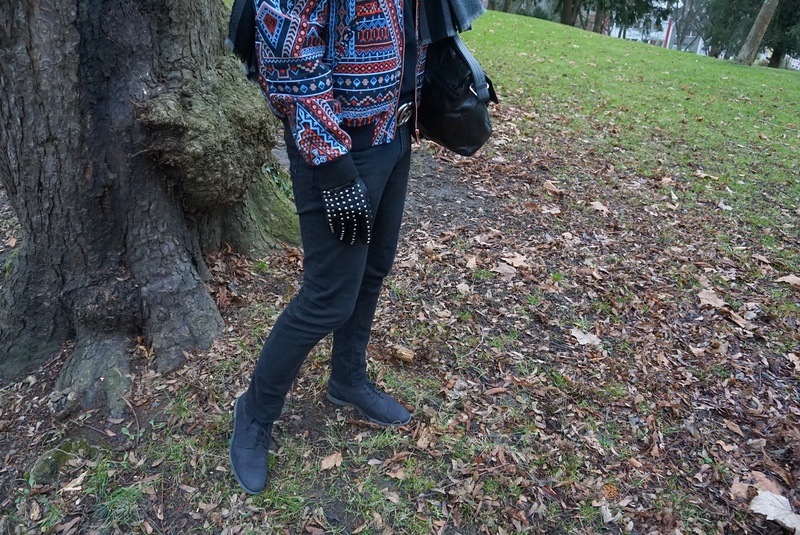 I was particularly in the mood of shooting my new ethno Asos jacket as a holiday clothing alternative. On our way to the monastery we imagined how beautiful the Christmas service would be, with candles and music of the organ, filled with people and cheer. When we arrived we were stunned to see that there was no service. The monastery was not even opened. I would be lying if i said i was not disappointed. That was the case….unfortunately. However we did a shooting of the look and sat down for a hot chocolate in the one cafe which we happen to find opened. 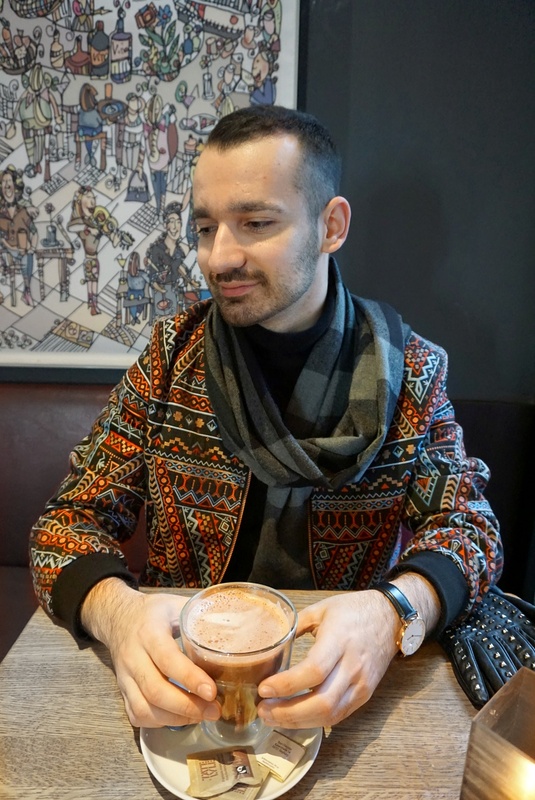 For today’s look i chose my new Ethno asos jacket, which was a kind gift from my mother in law. I was eyeing this piece for a while now on the asos site, however i did not buy it, for some reason. It is beautifully embroided with ethno motives in orange, blue and eggshell. For it to be in focus i decided to keep everything else in the black palette. I put a stunning McNeal wool and cashmere turtle neck jumper on. The Jeans were a simple Zara choice, tailored and skinny. Furthermore the shoes… suede Worker boots. 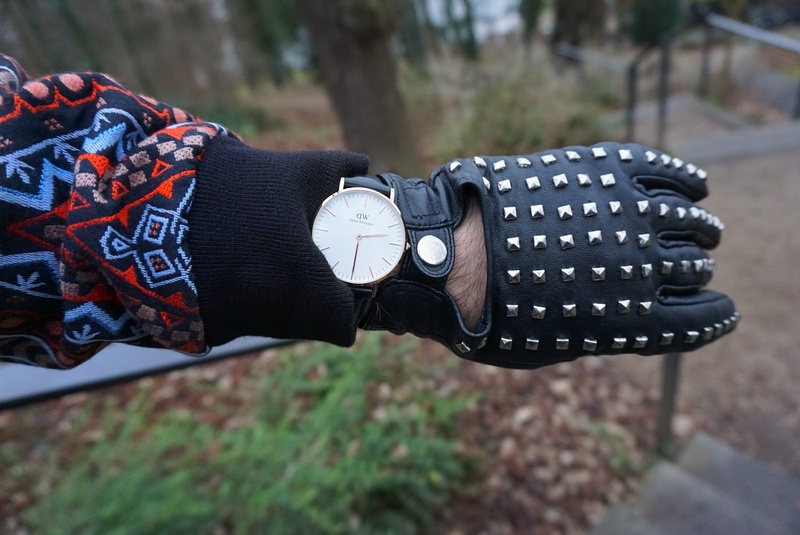 To pull everything together i used black leather studded gloves, Daniel Wellington watch and a leather messenger bag. 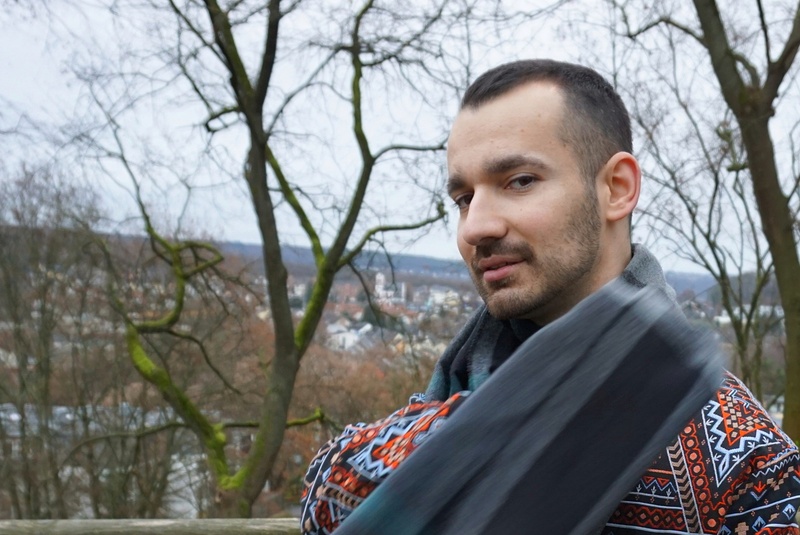 The scarf is a beautiful creation of the house Burberry. Last but not least a Gucci marmont belt. 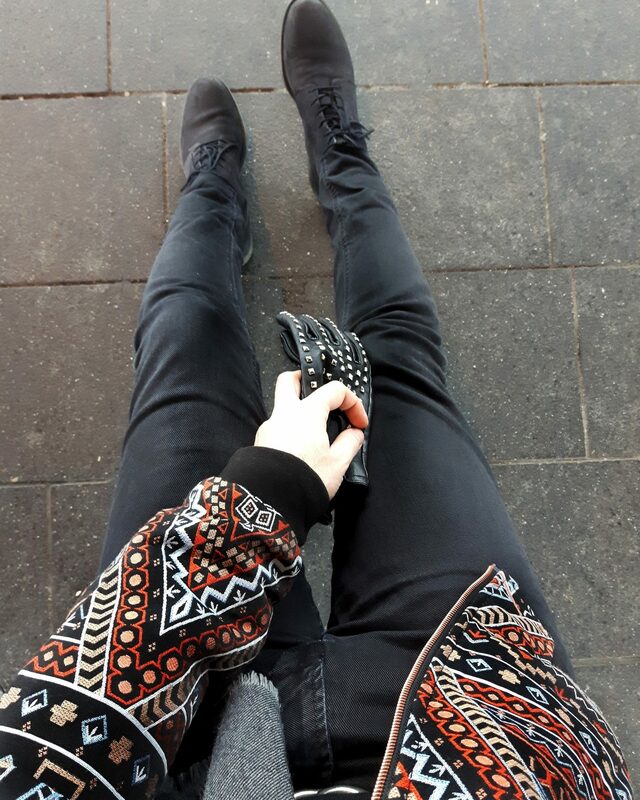 In conclusion i can say i really enjoyed this beautiful and festive ethno look.